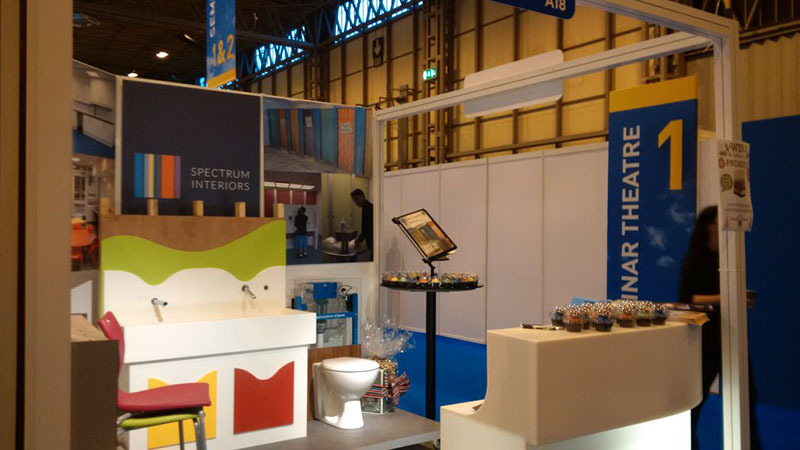 Spectrum Interiors is proud to announce our attendance at this year’s Academies Show at the NEC, Birmingham on 22nd November. We were so excited by the palpable buzz in the exhibition hall last year that we made it our top priority for 2017. Find us on the day at stand A24 where our team will demonstrate the latest in academic interior design. From classrooms to washrooms, changing facilities to reception areas and more, we look forward to transforming your school ready for the new year. Make sure to book an individual appointment with us, too! The Academies Show is the perfect opportunity for an on-the-spot consultation with a member of our experienced team. Find out how schools, colleges and universities have benefited from our refurbishments for over 15 years. More importantly, discover why your current facilities are falling behind the standards expected in today’s school infrastructure and what Spectrum Interiors can do to help. We’re happy to talk about the practicalities of refurbishment, including our exciting range of children’s toilet cubicles, vanity units and seating. But we also take a keen interest in how to make reception areas more inviting for students and parents; the basics of colour psychology and using a positive pallette; as well as how we meet the safety regulations that are in place to ensure you provide a high standard of care. When you invest in new classrooms, changing rooms or washrooms, you’re not simply updating tired and worn out facilities. You’re investing in the future of the students who use those facilities. That’s why Spectrum love to work with schools, colleges and universities. Ask the hundreds of schools we’ve refurbished over the years and they’ll tell you that they benefitted from working closely with us throughout the design phase to guarantee an inventive use of space, imaginative use of colour and an affordable price to boot. Great schools have great interior design. Open, airy, light, hygienic and safe – we provide it all using any number of options to make your institution stand out to parents, students and inspectors alike. 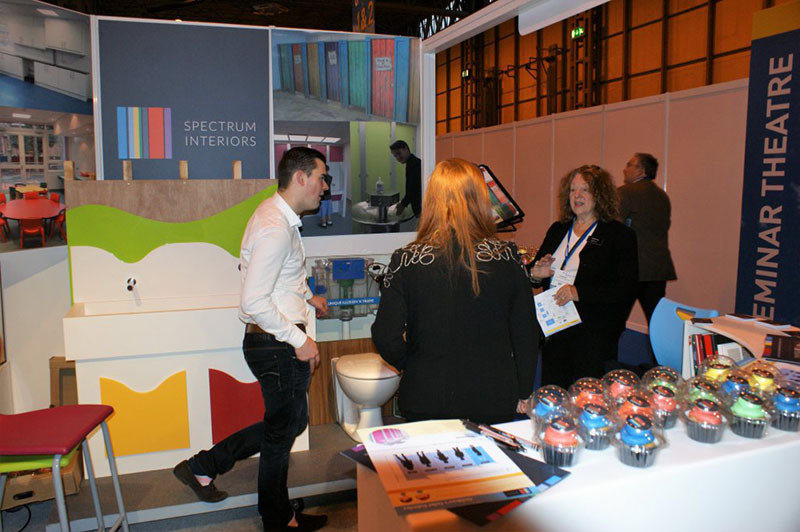 Book a meeting with your Spectrum Interiors advisor by visiting the Academies Show page. At the bottom you’ll find our booking form. Fill in your details and we’ll contact you at a preferred time of day to arrange an appointment. 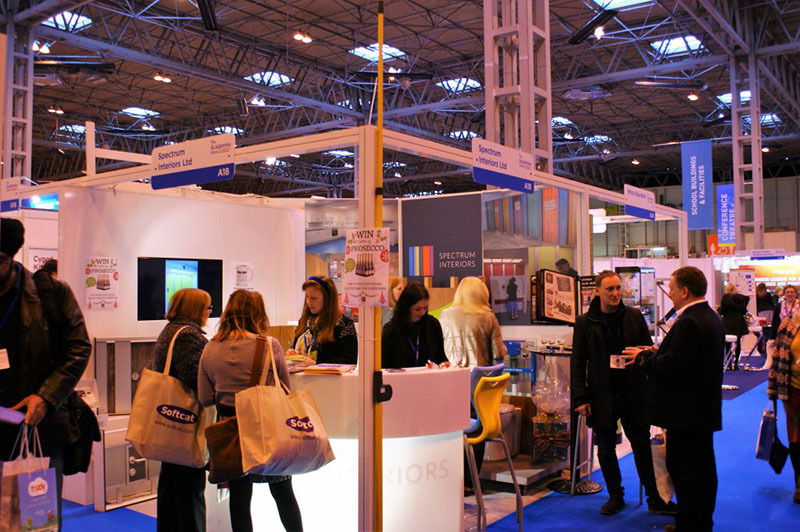 We’re looking forward to seeing you at the NEC, Birmingham on 22nd November!